VAI sees the internet as the future of Enterprise Computing, and Vector New England is proud to help bring that future to businesses. 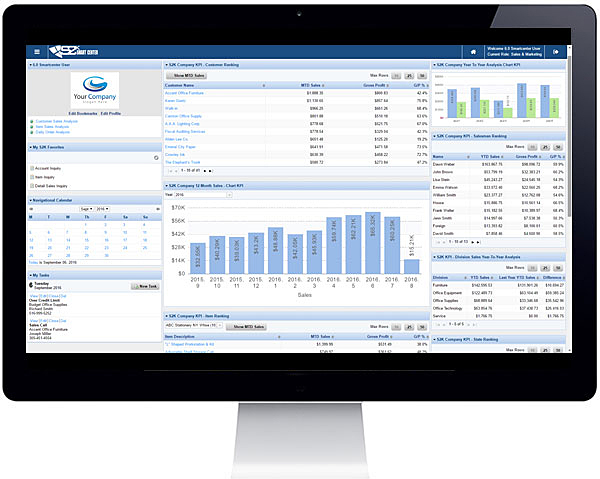 By delivering software through a browser with a flexible web interface, we can now provide the user with a single sign on for all web applications, which simplifies the user experience, increases productivity, and minimizes training costs. In addition, web-based software provides mobile access, enabling every user in the organization immediate computing anytime and anywhere. As a leader in Enterprise Software for the mid-market, VAI’s focus has always been to develop robust solutions that solve real-world business issues and drive bottom-line results. With the introduction of S2K Smart Center, customers can now compete at a high level. By leveraging the flexibility and mobility that the web provides, they have unlimited growth potential. Contact us for more information or a demonstration. Smart Center was built on standards-based technologies such as HTML5 and AJAX. Without any special translations, conversions or re-programming, a web app can run on any platform with a modern, standards-compliant web browser. That’s why we sell web-based application software. What’s even better is that the portal screens have a responsive design that will automatically resize to the specific device, whether that’s a desktop, a laptop, a tablet, or any mobile device. One of the benefits of this browser interface is that it allows VAI to deploy a true Cloud-based solution. Organizations are increasingly adopting cloud offerings for critical business operations. As more consumers and businesses adopt tools such as smartphones and tablets, the ability to host data in the cloud and access it from anywhere on the planet is quickly becoming vital. S2K Smart Center gives customers multiple options for their infrastructure, including on-premise servers or cloud deployment. 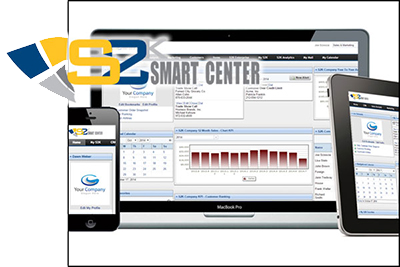 Business process automation was a key component behind S2K Smart Center. It all starts with a company-wide notification system that allows every user to monitor daily tasks and business alerts. From any application, a user can create a task and assign it to any employee. From the S2K Smart Center home screen, the user will see all of the daily tasks that have been assigned to them. In addition, workflow alerts can be viewed from the home screen to notify the user of business issues that require immediate attention. With collaboration software like S2K Smart Center, you can create a personalized environment that contains any of the applications you wish to access. In addition, the user can configure their home page with a wide variety of application-specific portlets that best suit the user’s role. Portlets come in many different forms and provide access to information from all S2K Enterprise applications. By having immediate access to important information without ever having to leave your home page, users can be more productive and react to business issues faster. We’re confident that you’ll love what this product can do for you. Contact us to ask about implementing it into your system.